The history of Kutch is very old. Traces of the Indus valley civilization (3000 to 1500 B.C.) have been discovered at Dholavira � Kutch. When Alexandra the Great reached these parts in 325 BC Rann was not an arm of the sea. The eastern branch of the Indus emptied itself into the Rann which made it into a fresh water lake. The Mauryan empire broke of the Gujarat Kutch and Sindh passed under the rules of Greeks from Bactria in 140-120 BC. Bactrian rule over Gujarat, Kathiawad and Kutch was ended by Sakas in the 1st Century and ruled upto the 3rd century. After that Samudragupta attacked the Sakas and ended their rule. At the end of the seventh century the Arabs conquered Sindh. Samma Rajputs of the hindu clan settled in Kutch. Some of the chiefs also settled in Sindh and were allowed by the Arabs to be independent rulers there. In the early ninth century the chief of that clan was Lakho Ghuraro, who had two wives. After the death of Lakho Ghuraro his eldest son Unnad succeeded, but Unnad�s step brother Mod and Manai plotted against him and killed him. Later on Mod and Manai conspired to kill their uncle Vagam Chavda and declared themselves the kings of the area. That time Patgadh was under the rule of seven brothers of the Sandh tribe "Seven Sandhs", who threatened to avenge the murder of Vagam. Later on Mod and Manai killed the seven sandhs and became the masters of the city and of its dependant territories. Gujarat's population is overwhelmingly Hindu, with Muslim and Jain minorities. The diverse ethnic groups may be broadly categorized as Indic (i.e., northern-derived) or Dravidian (southern-derived). The former include the Nagar Brahman, Bhatia, Bhadela, Rabari, and Mina castes (the Parsis, originally from Persia, represent a much later northern influx); among the people of southern origin are the Bhangi, Koli, Dubla, Naikda, and Macchi-Kharwa tribes. The rest of the population, including the aboriginal Bhil tribe, exhibits mixed characteristics. Members of the scheduled castes and of the aboriginal tribes form nearly one-fifth of the state's population. Gujarati and Hindi are the state's official languages. The folklore and folk culture of Gujarat can be traced to the mythology of Krishna, an incarnation of the god Vishnu. Dances in honour of Krishna have survived in the form of the popular folk dance, the 'garba'. A folk drama, the 'bhavai', also has survived. Gujarat is also famous for its art and craft products. Among the most durable and effective of the Gujarat's cultural institutions are the trade and craft guilds known as 'mahajans', which often solves disputes, acted as channels of philanthropy, and encouraged the arts. Gujarat is the second important district of Gujranwala. Gujarat, situated beside the grand trunk road and main Railway track is directly connected with the major cities like provencial and central metropolises of the country. The river Jehlum on its north and river Chanab on the southren-eastren side, both separated this city from the districts of Sialkot and Gujranwala and because of being amongst these two rivers, it is resplendently fertile and the agriculture has always been acommon vocation of its inhabitants. As an industrial hub, the whole city is dotted with heavy manufacturing factories, spread all over the tract, where a lot of people perform the blue collor jobs. These people are probably very laborious, Punjabi, while Urdu and English languages are also spoken. The man of valour, Major Aziz Bhatti Shaheed (Nishan-e-Haider) and other various patriots, too, belonged to the same region. The region is very rapidly progressing in the industrial scope and almost two hundred and fifty fan manufacturies have been installed here. Else these, the glass and show manufacturing factories are also in run. The cotton wheat, Sugarcane and besides these other various types of fruits are the major products of this region. Moveover, Gujarat is famous for its beautiful and artistic handicrafts, Flower pots, "Changairian" made by leaves of palm and date trees, cotton mates, "Dhusse" and wollen shawls are famous and very much popular throughout the country and abroad. Gujarat has a exclusive status throughout the Punjab due to some of its manufacturing capabilities and productions. Jalalpur is a large town of Gujarat, where several small and large textile industrial unit have been established. There are many other industrial units and factories engaged in manufacturing of electrical goods (Fan), Electric Motors, Earthen Utensils, Shoes, Rubber Tyre Tube, Sanitary Ware ,Rice Cleaning Mills and Furniture. The high quality furniture made here have been used in National and Provincial Assemblies.. The major rivers flowing through the state include the Narmada, Sabarmati, and Mahi in central and northern Gujarat; Mithi, Khari, and Bhogavo in Saurashtra; Tapi, Purna, Ambika, Auranga and Damanganga in the southern part of the state. Gujarat has the largest coastline and largest number of ports of all the states of India. It has a 663 km coastline, which is 30% of India's total of 5700 km. Gujarat is surrounded by the sea on three sides. Of its 19 districts, as many as 10 have a sea-coast. � It is this geography which has governed its history. Maximum Temperature: 43 � C.
In winter, temperatures average between 12�C and 27�C (between 54� and 81� F), although freezing levels have been recorded in the state. In the summer temperatures average between 25�C and 43�C (77� and 109� F) and have been known to reach as high as 48�C (118� F). In Ahmedabad , the daily winter maximum temperature is 26 degrees Celsius and the minimum 12 degrees Celsius, although sub-zero cold spells have been recorded. In summer the daily maximum temperature can reach 48 degrees Celsius, though 42-43 degrees Celsius is more common. The summer minimum is 25 degrees Celsius. Further south, the winter temperatures never fall as far, and the summer temperatures are slightly more moderate. The average rainfall in Gujarat varies from 33 to152 cms. The southern region of the state has an average rainfall ranging from 76 to 152 cms, Dangs district having the highest average of about 190 cms. The northern districts have a rainfall varying from 51 to 102 cms. The rainfall in the southern highlands of Saurashtra and the Gulf of Cambay is approximately 63 cms while the other parts of Saurashtra have a rainfall less than 63 cms. The semi-desert area of Kachchh has a very low average rainfall. Certain areas in Ahmedabad, Mehsana, Banaskantha, Panch Mahal, Surendranagar and Jamnagar districts face chronic scarcity conditions for want of adequate rains. Indo-Aryan language that is spoken in Gujarat state and in the neighbouring states of Maharashtra and Rajasthan in India; it is the official language of Gujarat. It had more than 40 million speakers in the late 20th century. Gujarati has several dialects, including those of the south, the northwest, and Saurashtra. The standard language accords with the central dialect, spoken in such cities as Vadodara. The language, which is written in a cursive modified Devanagari script, has a long literary tradition that dates back to the 12th century. Old Gujarati was also dubbed Old Western Rajasthani by the Italian scholar Tessitori, because the language was in his day used in an area including part of what is now the state of Rajasthan. Gujarati has a fairly complex inflectional system, marking, for instance, three genders (masculine, feminine, and neuter; Hindi has only masculine and feminine), two numbers, and three cases (nominative, oblique, and agentive-locative) for nouns. In the medieval period, poetry was actually the means of expressing religious sentiments and the first poetry of the language was Bharateswara Bahubali Rasa. It was composed by Shalibhadrasuri, a 7th century Jain monk. A number of Jain Sadhus followed his example and composed short story poems called Rasas till the end of the 18th century. All this while in the 15th century, Narsingh Mehta was bringing in a new era of Vaishnava poetry. His poems portray Krishna as a playful child, a lover, a friend and the poet�s muse. He became a source of inspiration for his successors in composing not only similar poetry but also philosophical poems. The Kutchi language (also spelled Kachchi) is an Indo-Aryan Language spoken in the Kutch region of the Indian state of Gujarat, with about 866,000 speakers. It is related to Sindhi. It is often considered to be a mixture of Sindhi, Gujarati, Punjabi & Rajasthani. Kutchi phonology is very much like that of Sindhi, but the vocabulary is closer to that of Gujarati. Kutchi was originally written using the now extinct Khojki or Khojaki (of Khojas) script. Kutchi survives only as a spoken language now as it is written using the Gujarati alphabet. It is spoken mainly by the people who live in the Kutch region of Gujarat, and by Khojas and Nizari Ismailis due to their holy scriptures written in this language. Most Kutchees living in India know Gujarati. 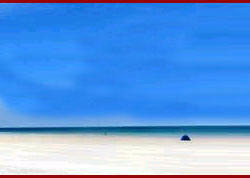 Kutch is a part of Gujarat which is in India. A large population of Kutchees lives in Mumbai (Bombay) India. Kutchees in Mumbai read Gujarati Newspaper along with newspapers in English. A large population of Kutchees are India are mainly Hindus,Jains and Ismailis. They are mainly into businessess of textiles, diamond trade, shares and shop keepers etc. Sindhi (سنڌي، سندھی ، सिन्धी sindhī) is the language of the Sindh region of South Asia, which is now a province of Pakistan. It is an Indo-Aryan language spoken by approximately 17 million people in Pakistan, and 2.8 million in India; it is also a recognised official language in both of these countries. َAlthough the language is predominantly Aryan, it also shows up signs of Dravidan influence, making it unique in its importance and identity. Most Sindhi speakers in Pakistan are concentrated in Sindh. The remaining speakers are found spread throughout the many areas of the world (mainly other parts of India) to which members of an ethnic group migrated when Sindh became a part of Pakistan during the partition of British India in 1947. The language is written using the modified Arabic script. In 1948, the Government of India implemented Devanagari script for the Sindhi language that did not get wide acceptance. Sindhi is taught as a first language in the schools of south-east Pakistan. Sindhi language has a vast vocabulary; this has made it a favourite of many writers and so a lot of literature and poetry has been written in Sindhi. Dialects of Sindhi are spoken in southern Punjab, Balochistan, Northwest province of Pakistan (NWFP), and also Gujarat as well as Rajasthan in India. Sindhi was a very popular literary language around the 14th-18th centuries. This is when sufis such as Shah Abdul Latif (as well as numerous others) narrated their theosophical poetry depicting the relationship between humans and God. The Qur'an was first translated into Sindhi in rhymatic format. This was the first ever translation of Qur'an in the 12th century or earlier. Sindhi has a large sound inventory. It has 46 distinctive consonant phonemes (more than all the phonemes of English combined) and a further 16 vowels. All plosives, affricates, nasals, the retroflex flap and the lateral approximant /l/ have aspirated or breathy voiced counterparts. The language also features four separate implosives. Nearest airport Keshod 37 km & Rajkot 99 km. Rajkot is connected to Bombay by I.A. & Vayudoot. While Keshod is connected to Bombay by Vayudoot. Junagarh is connected by train to Ahmedabad. G.S.R.T.C. bus services connect Junagarh with Bhavnagar, Ahmedabad, Gir, Rajkot, Bhuj, Dwarka, Somnath, Palitana, Surat, Vadodara, Porbandar. Taxis, Auto-rickshaws, Tongas & City Bus services are available for local transport.